Almost 80% of local business owner are saying that they doesn’t need a website as they are selling products locally. Yes it’s quite true that a local business, such as a popular local clothing store doesn’t need to sell their products online! It will be an unnecessary investment to them to arrange extra employee to track and ship their products. Here is no relation between having a business website and selling products online! Your local business needs a website for mainly 3 reasons. No.1 Your customers need you to be online: Today people using the internet to get information regarding their desired products, before going to a physical store. So, here your business website can make a real difference. Your customers can access your shop 24×7, even when your store is closed. Put your website banner on Facebook by targeting your local customers. Today almost every person (Age under 19 to 45 years) is using the Facebook and they love to see local stuffs on their Facebook wall. So, it’ll be more effective than putting a large banner in city by spending almost Rs-25, 000/-. 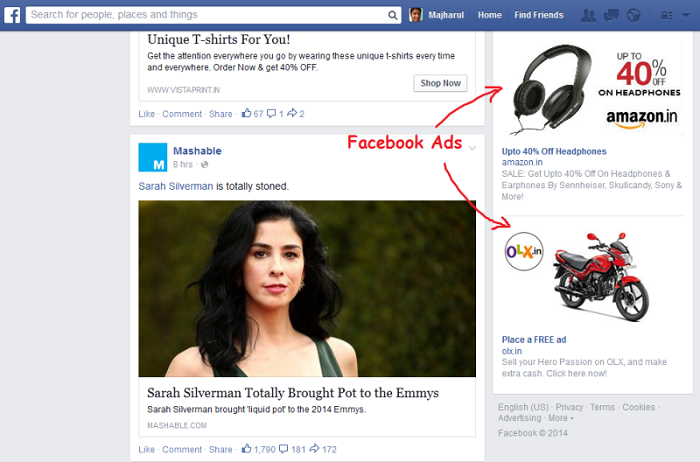 You can reach every corner of city by launching a Facebook ad with your website. No.3 To gain reputation and trust: Putting your website along with your business name will make you unique and more professional than others. And, it’s enough to gain reputation and trust on your business. Make your business website now to beat your local competitors.